The TSA in TSA Certified Driver stands for Transportation Security Administration – that's the government agency at airports responsible for passenger and shipping security. If you need to deliver goods to an air cargo terminal or airport, then you'll want a TSA certified driver. Drivers with this certification are able to deliver directly to the air-freight facilities because they have the necessary security clearance to do so. 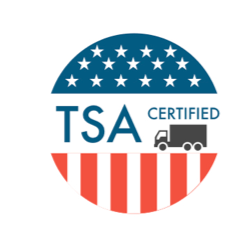 While you might not need a TSA certified driver for every job, it is helpful to have reliable TSA certified drivers that you can turn to when you do have a specific need. All TSA certified drivers must take a special course and get re-certified each year to maintain their TSA clearance. If you need to get freight from A to B the fastest way possible, Bullet Freight Systems, Inc. can help you avoid any delays in your workflow and ensure that goods get picked up and transported on time. We have a fleet of drivers who are TSA Certified, and we can efficiently walk you through the TSA process.